In an interview, Jose Sialer Pasco, responsible of Sierra Sur program explains the importance of savings in rural areas of Peru. Sierra Sur is funded in partnership with IFAD (International Fund for Agricultural Development) and the Peruvian government to develop economic activity in rural areas. One side of the program is the promotion of formal savings and life insurance among rural unbanked women. 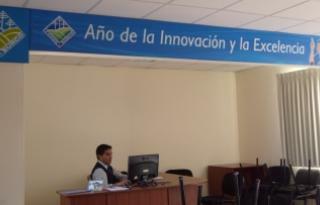 Re-launch of Fondesurco branch located in Acari ! 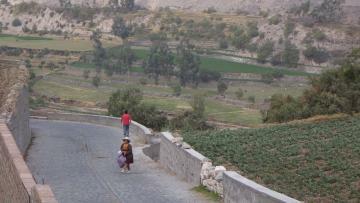 With about 4000 inhabitants, the district of Acari is one of the 13th districts of Caraveli province, located in the department of Arequipa, in the south of Peru. This celebration was the opportunity to celebrate the improvement of the MFI branch with better equipement, office and location. Also this branch is now bigger than the last one and it is the branch the most modern of the area : Fondesurco employees can now give a better welcome and attention to their customers. 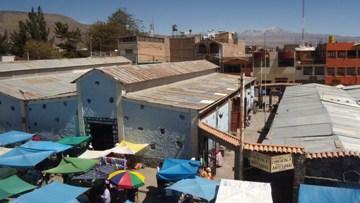 Benjamin is a young entrepreneur of Cotahuasi, a province in the higher Andes of Arequipa in southern Peru. This area with falls and an altitude range from 1.000 to 6.093 meters above sea level, has more than 19 ecological zones, which promotes the diversity of products in this region. He has a grinding station for indigenous ingredients of Peru, which are amaranth, quinoa, and he also works grinding corn. 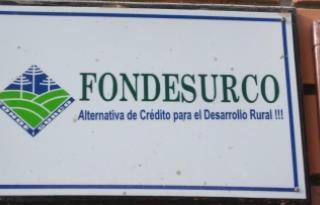 Fondesurco, an NGO, was established fifteen years ago following a pilot microcredit program initiated by a set of four NGOs operating in the southern region of the country (Peru). Fondesurco Annual Festivity in Peru ! 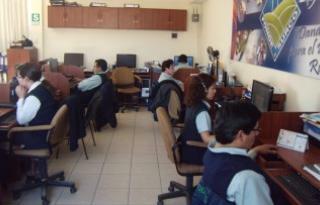 Fondesurco MFI celebrates an annual festivity, as they like to call "their familiar party”. For this event, all the employees have to travel to the city of Arequipa, even those from the farest agencies, and they have to present a peruvian traditional dance. 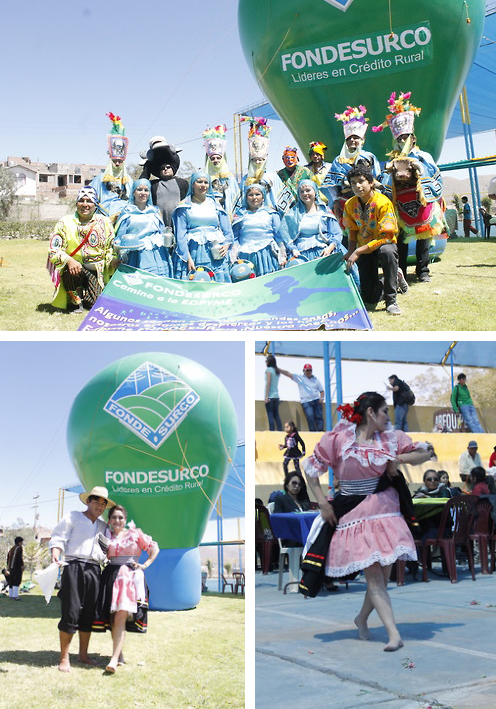 You can see on these pictures some of the dances and how all Fondesurco workers enjoy this day to celebrate. The day after this celebration, they all meet each others to walk in the main square. 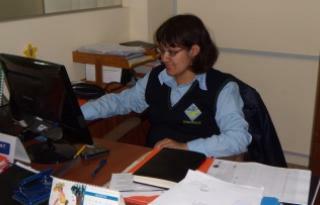 Ethel Diaz is a loan officer at Fondesurco, MicroWorld’s Peruvian microfinance institution (MFI) partner. She lives and works in the remote town of Acari in southern Peru. Surrounded by desert and sand dunes that lead down to the Pacific Ocean, Acari has a population of four thousand people, many of whom are olive farmers, the region’s main industry. Years ago, Acari was a big cotton producer, but due to price fluctuations farmers decided to switch to other products, including corn and livestock, most of which are sold in Lima or Arequipa, both more than seven hours away by car. Compartamos, the first Microfinance Institution (MFI) in the world to be listed on the stock market, has just finalised the purchase of its Peruvian equivalent, Financiera Créditos Arequipa (Financiera Crear). What is original about this transaction is that the MFI purchased is also listed on the Lima Stock Market, while Compartamos, originally from Mexico, is on the Mexican stock market and has two million customers. He remembers seeing the loan officer job advertisement in his college, located in Yanque. 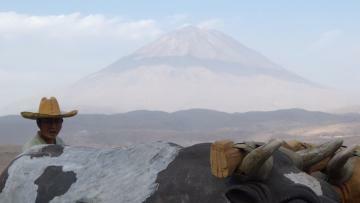 He sent his resume to Fondesurco and two weeks later, after receiving an answer, travelled to Arequipa for his interview. The selection process was very detailed and had requirements such as ‘being involved with the local culture’ and speaking Quechua, the local language. Luckily, Rody met both criteria. Best known as the heart of the ancient Inca empire, Peru is the sixth largest economy in Latin America, and has the fourth largest population in South America with around 30 million inhabitants. It has experienced strong economic growth over the past fifteen years and managed to withstand the financial crisis in 2009 by maintaining growth at 3% . However, regional disparities remain large between the capital, Lima, the coastal area, the north of the country, and the Andean regions where 70% of the indigenous population are still affected by poverty. 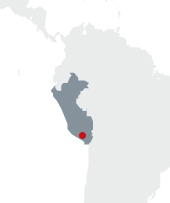 With important agricultural and marine natural resources, Peru’s economy is based on the refinement and export of these resources. The agricultural products are varied, and include asparagus, paprika, corn, potato, and cocoa, as well as being a large producer of the illegal drug, cocaine. The fisheries sector is also important, with Peru being the world's largest producer of fish, at 9.5 million tons per year . Peru is a multi-ethnic country formed by the combinations of many different immigrant groups over the past five hundred years. Amerindians, the indigenous population of Peru, had lived there for several thousand years before the Spanish Conquest in the 16th century caused the death of 90% of the 9 million inhabitants, mainly through the spread of infectious diseases that the indigenous people had not developed immunity to. Since then the country has seen a steady influx of Europeans, Africans, Chinese, and Japanese immigrants. 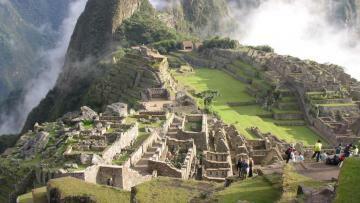 The population of Peru is very diverse, due to large waves of immigration since the beginning of the republic. 47% of Peruvians are of mixed ethnicity. . This fusion strongly characterises Peruvian culture, which has largely adopted European lifestyles and beliefs, while maintaining an element inherited from the indigenous culture of the Inca empire. The majority of the population are Catholic. Peru possesses some great names of Spanish literature, and painters such as Daniel Hernandez, who was a major artistic influence in twentieth century Peruvian painting. The national dance is the Marinera, a graceful dance for couples using handkerchiefs as props. 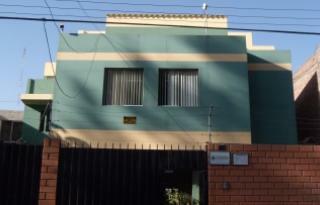 The Peruvian handicraft industry is highly developed, and easily exported to Europe and America. It allows families and people (Sarhu) to survive while also transmitting their values of harmony and fertility. In Peru, the spirit of celebration is nurtured and every year more than three-thousand festivals are held including the feast of miracles in October during which thousands of Christians proclaim their faith in black clothing. In Peru, small and micro enterprises make up 95% of the country’s manufacturing, service, and commercial sectors, yet in spite of the credit demands of such businesses, in 1994 commercial banks, NGOs and development agencies were only satisfying 5% of this demand. Thankfully, the microfinance market in Peru has experienced tremendous growth over the past decade, a direct consequence of the entry of several types of entities into the field, such as NGOs, banks, microfinance institutions, and rural banks. In fact, the country is very conducive to microfinance, and microfinance institutions are fastest growing financial institutions in Peru. The practice of microcredit is on two levels: one for major cities and is rather trade oriented, while the other level deals with rural areas and mainly finances agricultural activities. 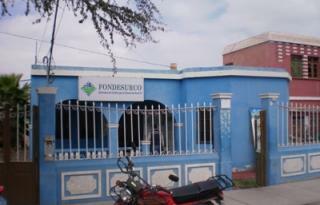 Fondesurco distributes microcredit via its twelve branches, all located within rural areas of the province of Arequipa, and the neighbouring provinces of Moquegua and Ayacucho. The loans offered are dependent on the activity of the customers, and offer flexible terms tailored to the agricultural activities, which are characterized by irregular income resulting from the seasonal pattern of harvests. Fondesurco also offers loans to pay for children’s school fees, as well as innovative products designed to meet specific needs, such as to enable farmers to store their crops longer after harvest so as to ensure they find the best market price. 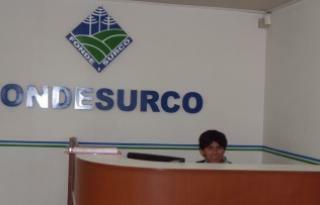 Over 70% of Fondesurco clients are agriculture or livestock farmers living in rural areas of the province of Arequipa and surrounding provinces. The majority of the remaining 30% are merchants or craftspeople. In some regions clients work in tourism. Fondesurco staff members generally local to the area in which they work, creating a stronger bond and increased mutual confidence in their relationships with their customers. They receive thorough training, including training in agriculture, before they start working with clients, enabling them to better-analyse the projects of micro-entrepreneurs. 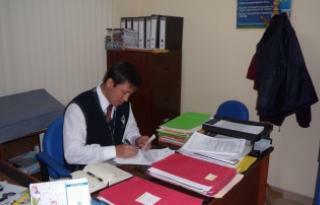 The head office staff are based in the city of Arequipa and generally have banking or microfinance backgrounds, ensuring rigorous and efficient management of the institution. 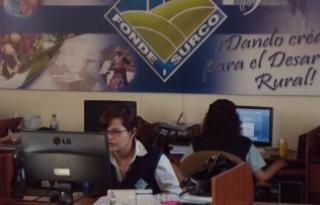 Fondesurco mainly finances agricultural projects. A typical loan, for example, enables a micro-entrepreneur to lease land for a season on which they can grow different types of potatoes that make up the traditional Andean meals. Many loans are also used to buy livestock.